A realistic, human size, unisex, holographic figure with smoke instead of a head, and piercing red eyes, moves mysteriously and uneasily between fluctuating stillness and abrupt sound. 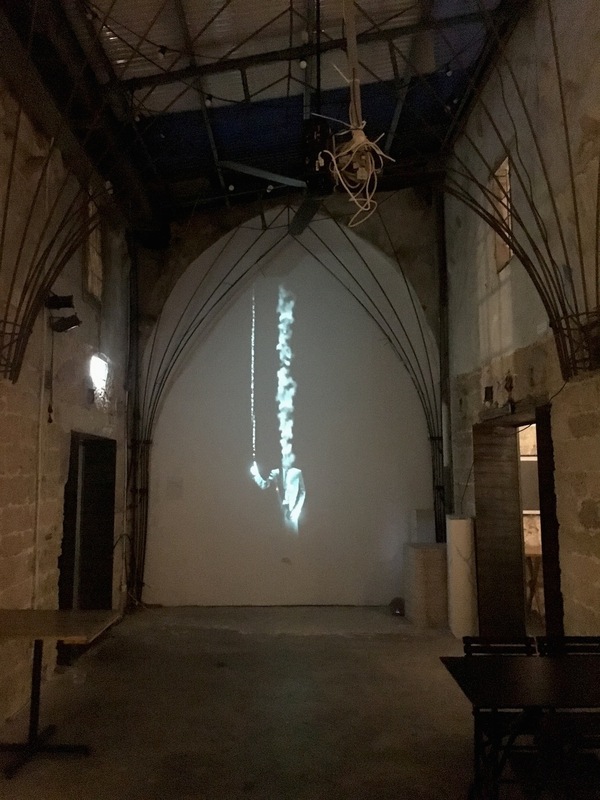 It confronts the viewer with a cyber ritual of sorts through a speechless dialogue of movement in sync with sound in an optical illusion of three dimensional presence. Shifting electronic red dots transform from eyeballs to gun laser marks and back. 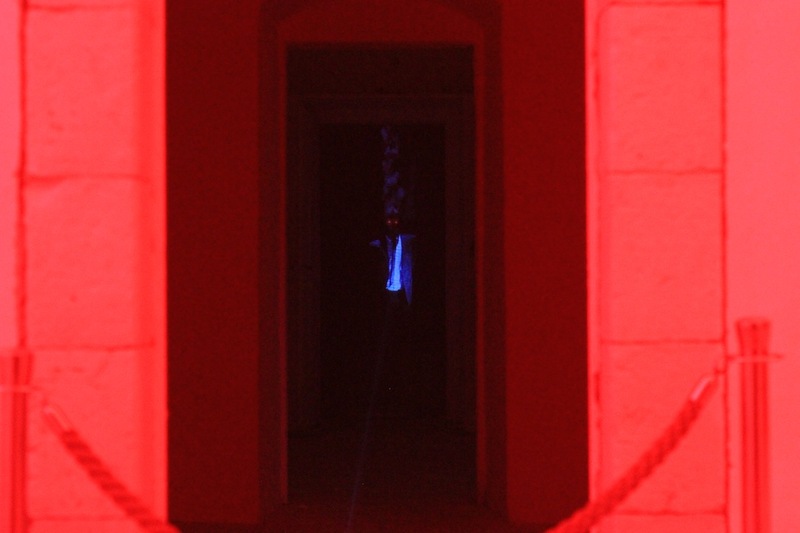 A red scanner line scans the space and defines it. The work Ghost plays with our senses and mediates an encounter with our belief and familiarity to human form, between what we know and believe, and an illusion. 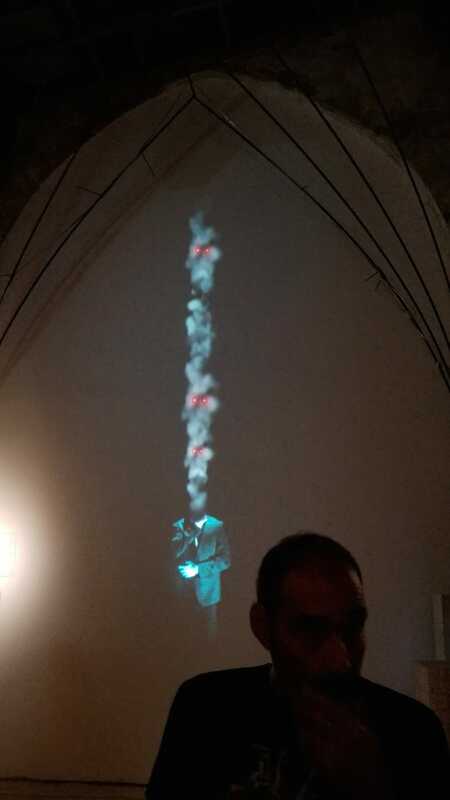 The work Ghost reverses the relationship of the viewer and artwork and questions- who is looking at who? 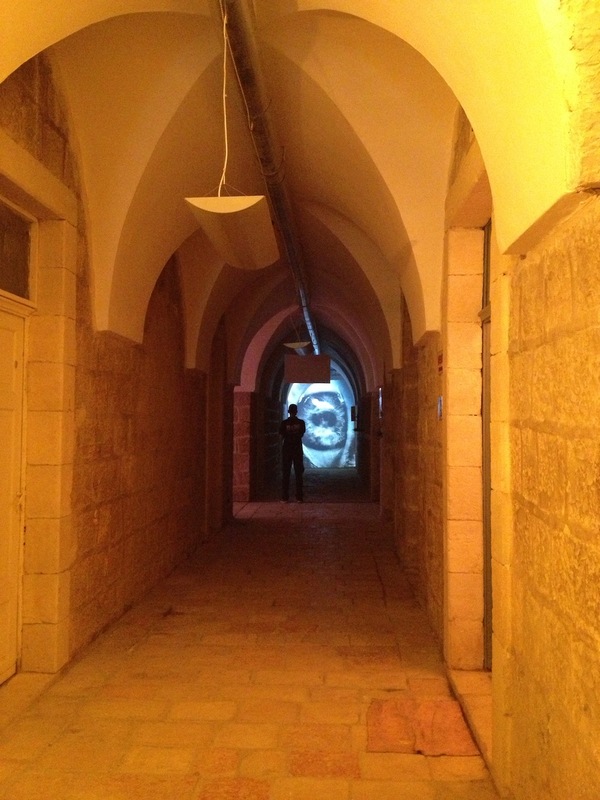 Ghost, and Eyes On You were first installed at the Lepers Colony (Hansen House )in Jerusalem and were in dialogue with the history of the location as part of 4 immersive installations in the building which led the viewer through the buildings labyrinth. 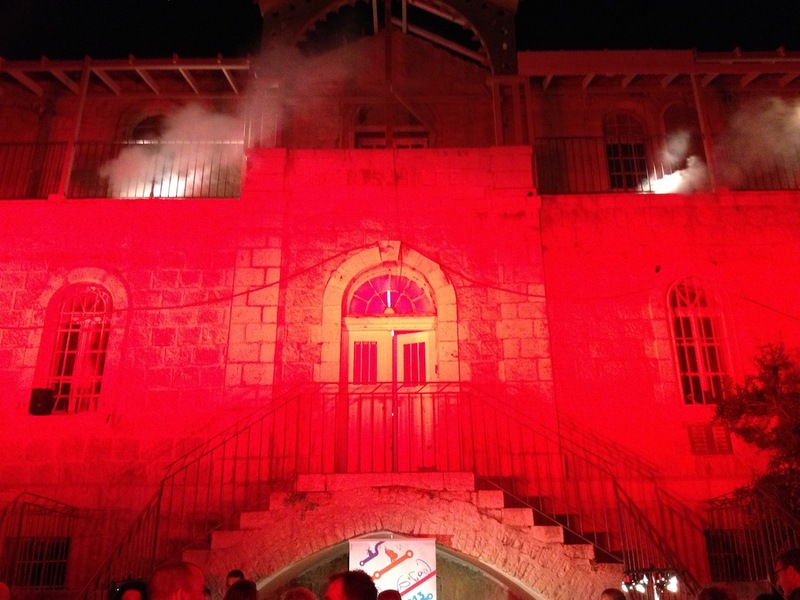 The buildings interiors were lit in red light and fog was emitted from its windows. 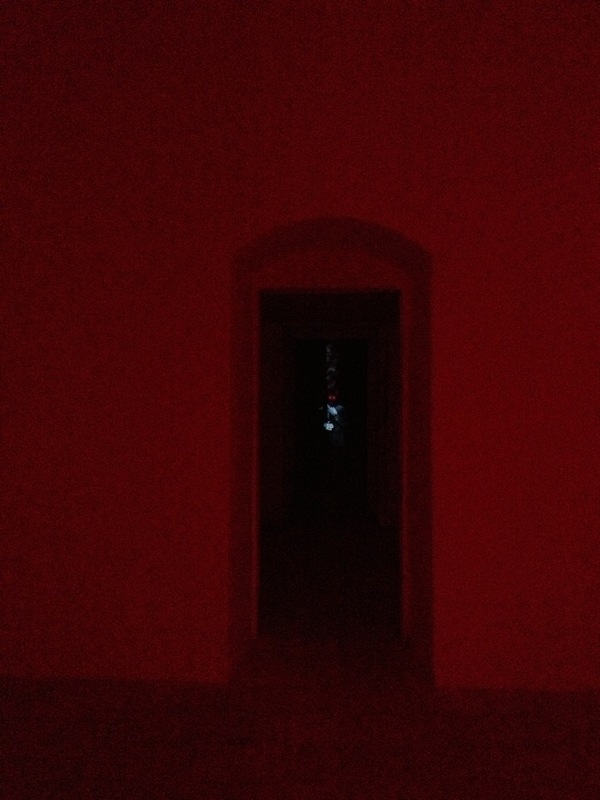 Ambient low-rumble sound was dispersed in the hallways and the holographic installations occurred in joined rooms. 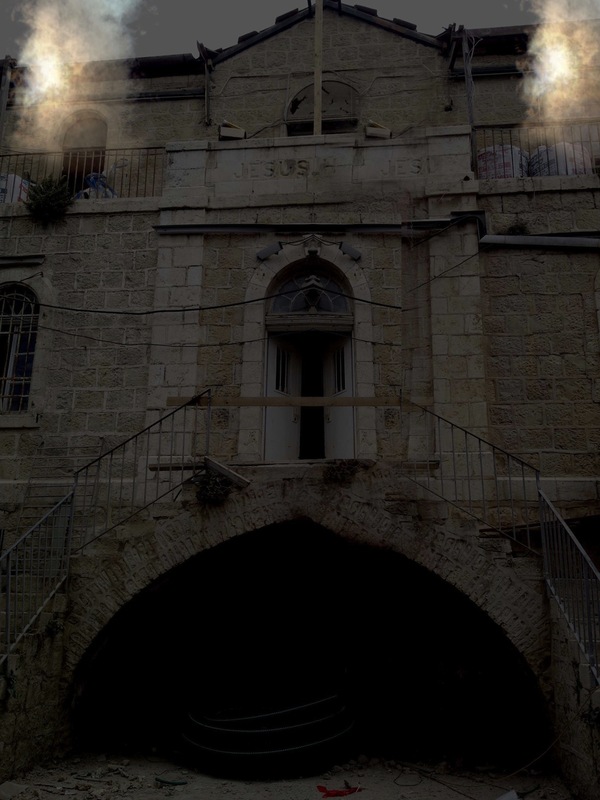 The Lepers Colony or Hanson House, is a historical building in Jerusalem Talbiya neighborhood. The building was first made in the late 19th century as a hospital for patients with Hansen’s disease (leprosy). Until 2002 the site acted in the form of an outpatient clinic, and re-opened in 2013 as an extension of the Bezalel Academy of arts & design. Thanks to Amit Sides for help with the documentation. 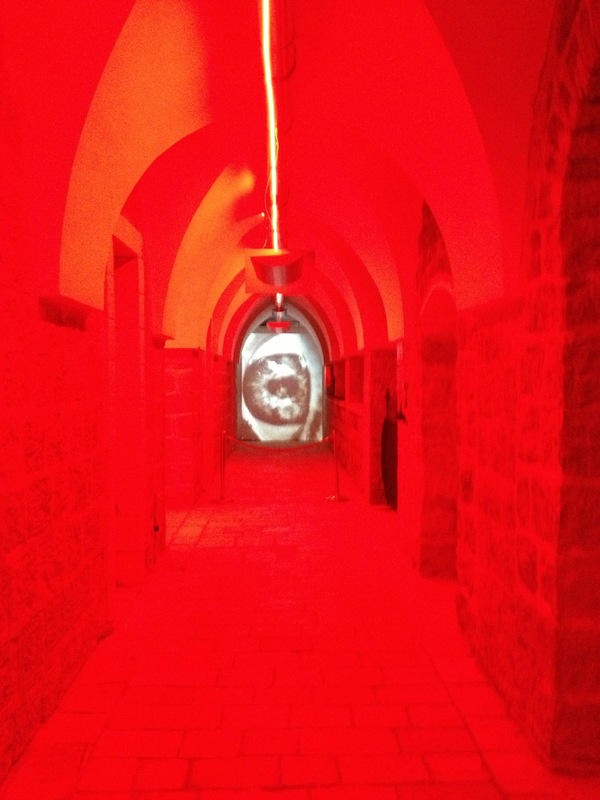 Ghost / Eyes On You documented at The international Photography festival in an underground cellar.